Jesus demands your entire life. 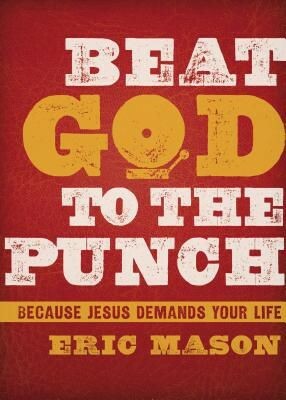 In Beat God to the Punch: Because Jesus Demands Your Life, Author Eric Mason succinctly articulates God&apos;s call of discipleship on every person. In a winsome, persuasive tone, Mason calls people into a posture of submission to the gospel. Eric Mason masterfully roots out the areas of life where we try to tell God, "Do not enter." In light of Jesus&apos; free offer of the good news, Pastor Mason challenges readers to turn our affections away from those things that hold hostage our hearts and consider what it means to be an authentic follower of the Messiah. God desires to transform every area of your life. Yet, most often, transformation seems to come when we willingly submit ourselves to the lordship of Jesus Christ. Why not beat God to the punch and seize a grace-filled life? Beat God to the Punch is for anyone who has ever asked, "What does it mean to follow Jesus?" Believers and unbelievers alike will find both comfort and challenge on the pages of Mason&apos;s work.